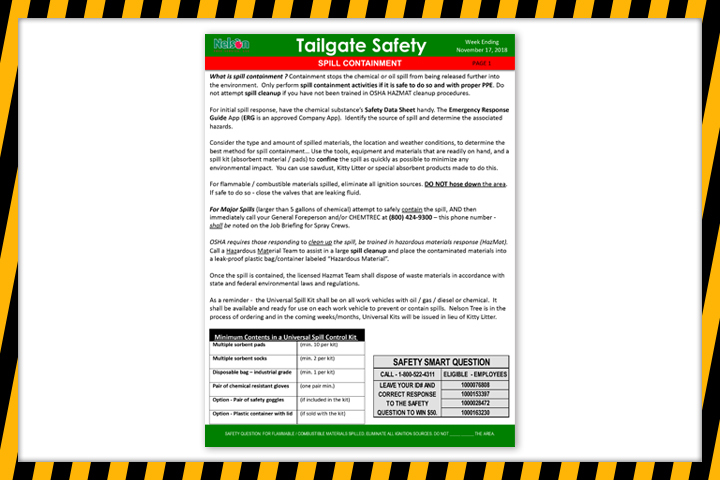 Click here to see the latest “Tailgate Safety” news. Don’t forget to answer the Safety Smart Question for a chance to win $50. Nelson Tree Service provides utility companies with line clearance services, upholding a commitment to the highest standards of performance and professionalism. Sitemap | Legal | © Nelson Tree Service | All Rights Reserved.